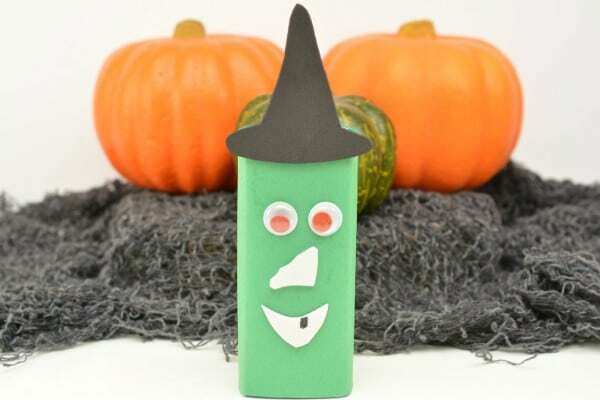 This Halloween Juice Box Witch is just the right combination of spooky and fun. Sneaking one into your child’s lunchbox is the perfect Halloween prank that’s more treat than trick. The area of momming where I struggle with my wannabe attitude the most is crafting. I’m just NOT crafty. But like any good wannabe, I’ve got a closet full of craft supplies so that if I somehow wake up a crafting savant one day, I’ll be ready to get right to work! There’s something about holidays that convinces me that crafts really can’t be that hard. Which is why most of the crafts on my site are centered on holidays. 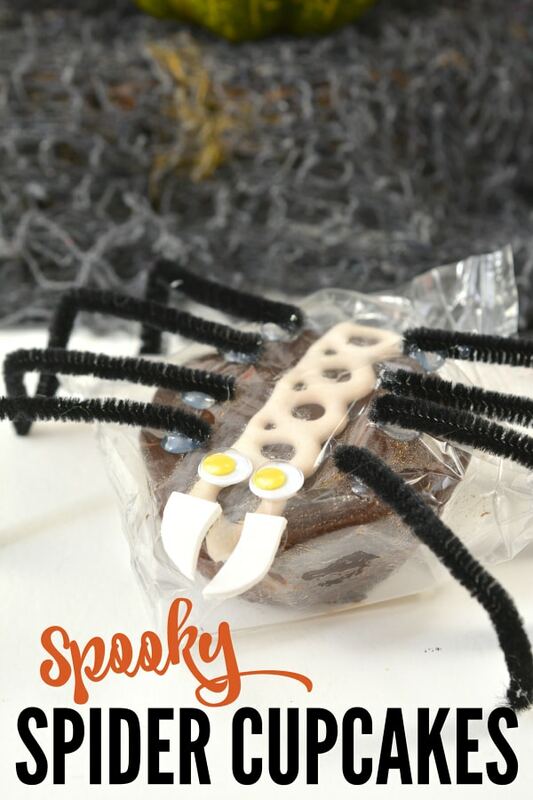 So here we are at Halloween and I’ve decided to continue my holiday snack craft habit and create some fun lunchbox (or classroom party) snack crafts. 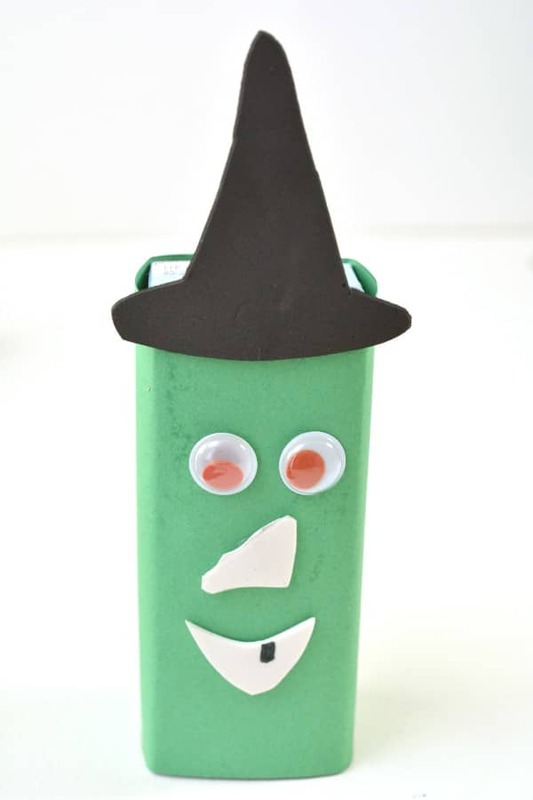 Today, I’ll share with you the simple process for making a Halloween Juice Box Witch. 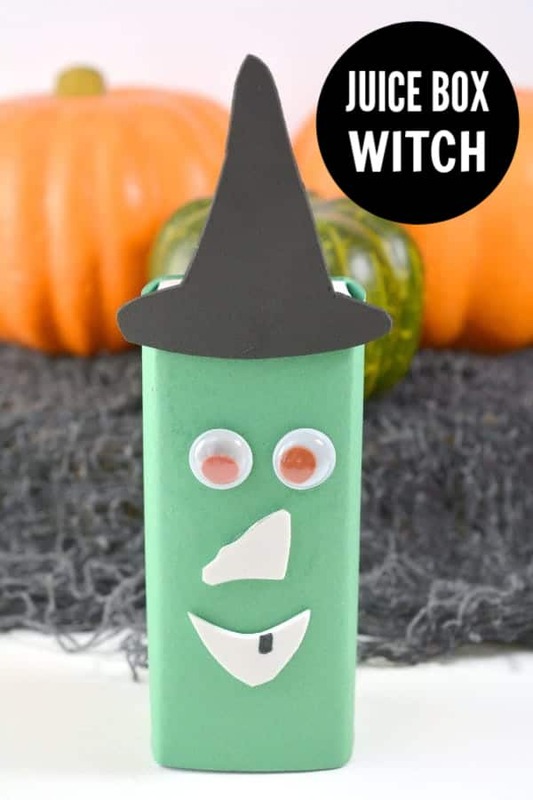 This Halloween Juice Box Witch is such a simple project. If you’re a crafting wannabe like me, or an actual crafter, you don’t even have to buy special materials since they’re likely already in your craft supply box or closet. 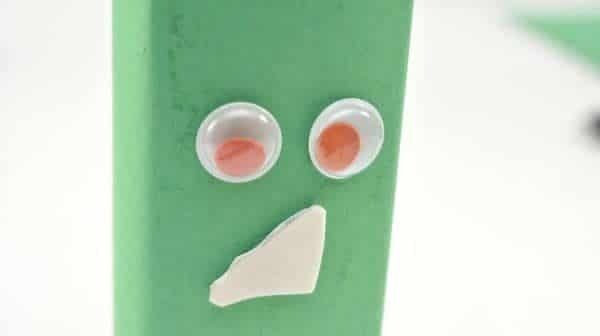 First, lay a juice box lengthwise on a piece of green construction paper. Mark the top of the juice box, and then use the juice box to trace a straight line the length of the juice boxes’ shape. 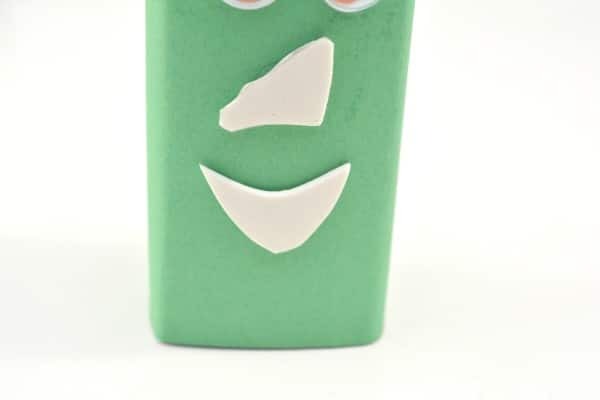 Cut out the marked strip of green construction paper. 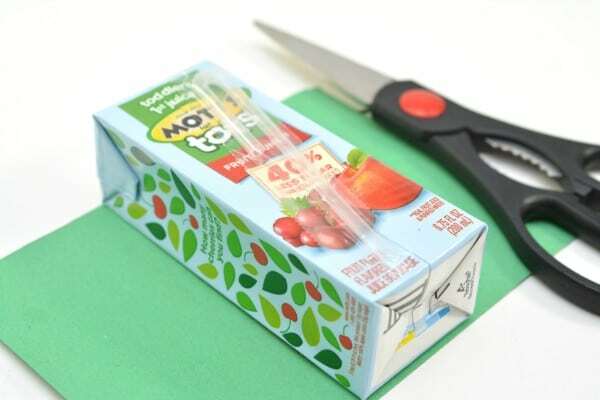 Next, place the juice box in the center of the cut piece of paper, and apply glue to one edge of the paper. Fold it up and secure it on the back of the juice box. 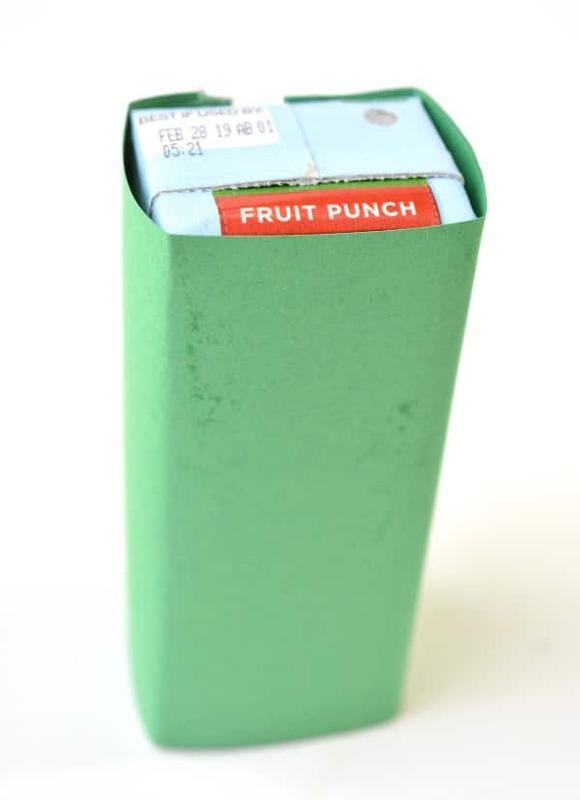 Repeat the process when the other side of the paper until your juice box is completely wrapped in the green paper. 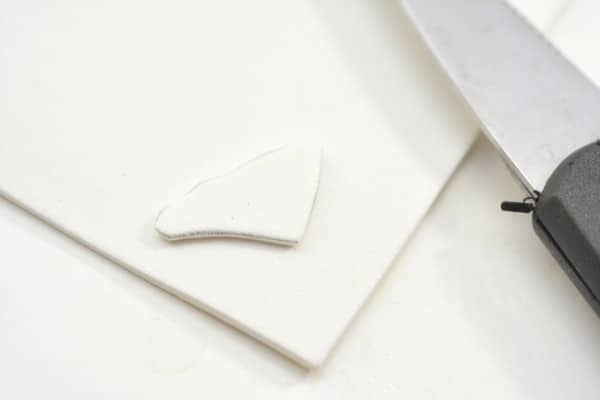 Cut out the shape of a witch’s nose and mouth from white craft foam. 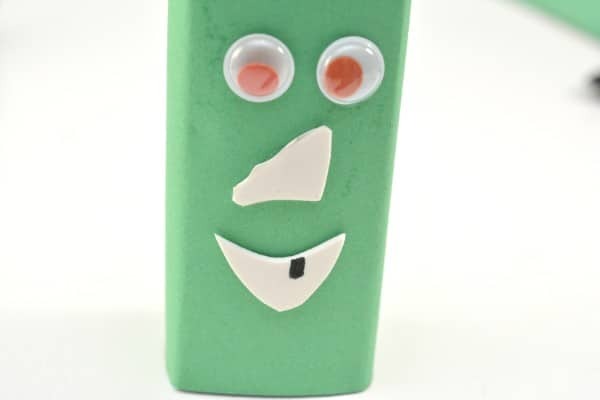 Apply the nose and the mouth shapes to the front of the covered juice box with glue. 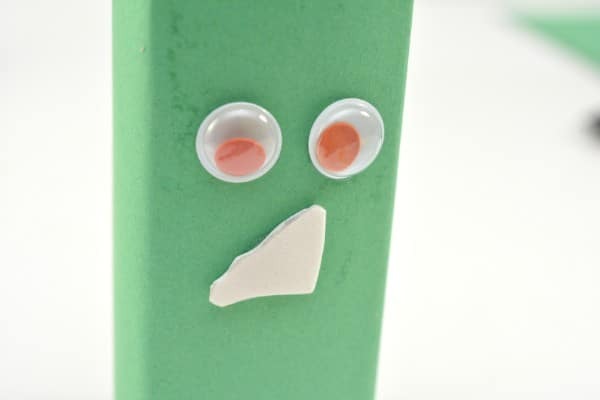 Attach two googly eyes to the front of the juice box above the nose and mouth. 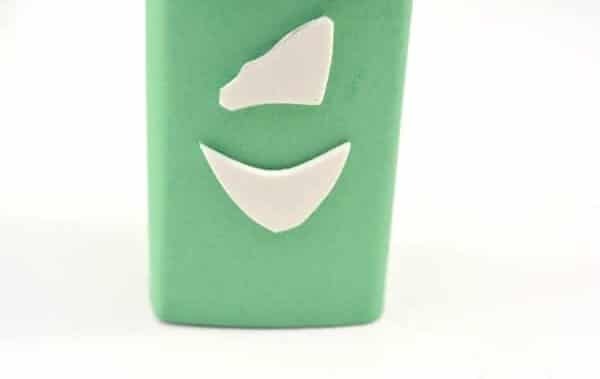 Use a black marker to black out one tooth shape in the mouth on the front of the juice box. 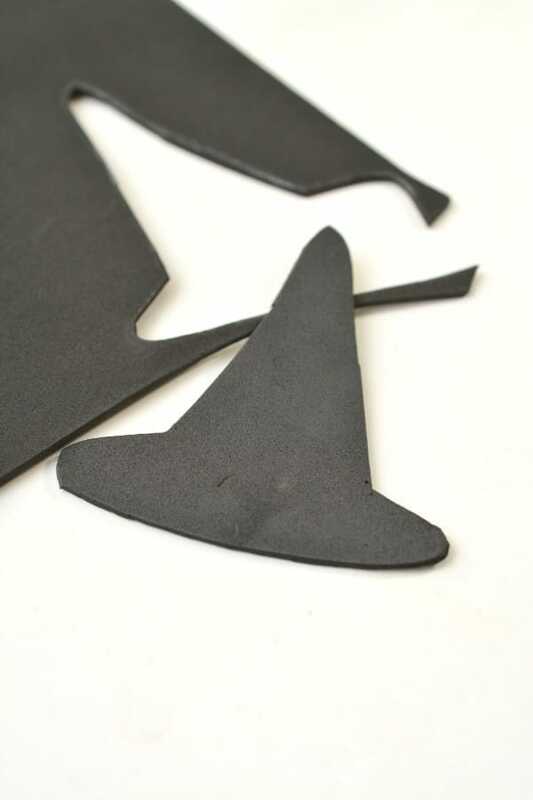 Cut the shape of a witch’s hat from the black craft foam. Glue the hat to the front of the box at the top. That’s it! Your Halloween Juice Box Witch is complete! Want to really up your Halloween game this year? 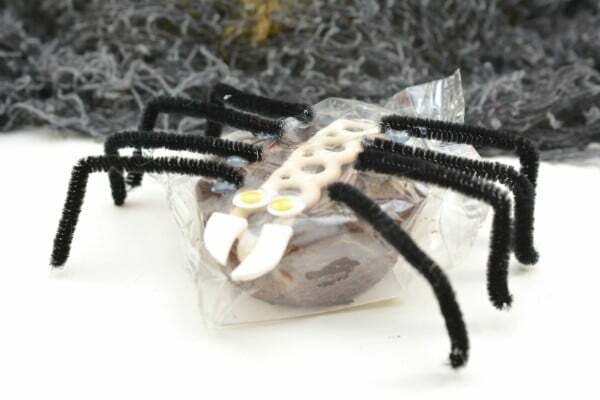 Add a cupcake spider to your child’s lunchbox when you sneak in the Halloween juice box witch! 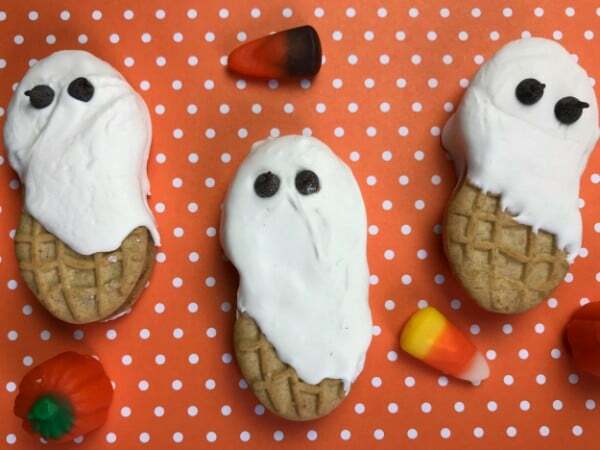 Or, you can make some of these Nutter Butter Ghosts.